Chan came to Chicago from Hong Kong to attend SSA in 1969 and start a career in social work. Although he switched careers and became an entrepreneur at midlife, he felt he had never left the social work profession and has done extensive volunteer work for over four decades. 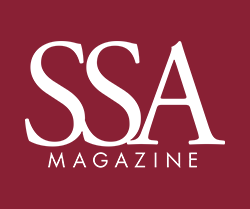 He credits his early experience at SSA, where he was in the Group Work sequence with the late professor and mentor Mary Lou Somers, for shaping his outlook and impacting his life-long passion for community service. “SSA was an eye-opening experience as the culture, the atmosphere, and the way faculty interacted with students was completely different from what I encountered back home. Students called faculty by their first names! There was a sense that everyone was treated as an equal. Coming from a more reserved cultural environment, this was both surprising and refreshing to me,” he says. Esther Wong, AM ’72, a lifelong friend, fellow co-founder of the Chinese American Service League (CASL), and retired Executive Director of CASL is equally excited about Chinese and Chinese American students studying at SSA. “At the moment, we are most concerned about immigration issues and how we can help sponsor and keep Chinese social work students here after graduation so that they can both gain more experience and help the Chinese American community, which has great needs,” she says. After SSA, Chan went into medical social work, working at Cook County (now John H. Stroger, Jr.) Hospital. He quickly moved up the ranks, working for 12 years as Director of the Psychiatric Social Work Division. In the mid-70’s, at a friend’s request, Chan started teaching English to new Chinese immigrants one evening a week in Chinatown. That turned into the beginning of a life-long relationship and commitment to his community. The experience revealed tremendous unmet needs. He helped gather ten 30-something Chinese friends, who set out to Chinatown to help senior residents complete government forms for Circuit Breaker Property Tax Relief. From that came the vision and the founding of CASL, where Chan assumed the role as the Chairman of the Board (President). The organization is now the Midwest’s largest and most comprehensive Asian American social service agency with more than 300 full and part-time employees. Chan left his fulfilling employment at Cook County Hospital in 1986 to take over a family food business and care for his grief-stricken mother after the tragic death of his father in a car accident that happened in front of his hospital on the Eisenhower Expressway. Already a known figure in the Chinatown community as president of CASL, Chan was invited by the Chicago Chinatown Chamber of Commerce to be a board member, and he soon began his path as the longest serving president and chairman of the chamber through the 90’s. In this role, Chan became Chinatown’s lead person to work with elected officials of all levels for the infrastructure and general improvements of the community. He set out to not only focus on economic development but also to advocate for the business community’s responsibility to advance all aspects and segments of the Chinatown neighborhood. One of his many projects before retirement was to form the Coalition for a Better Chinatown (CBC), (it later became the Coalition for a Better Chinese American Community [CBCAC]), to leverage the collective resources and influence for the empowerment of the community. 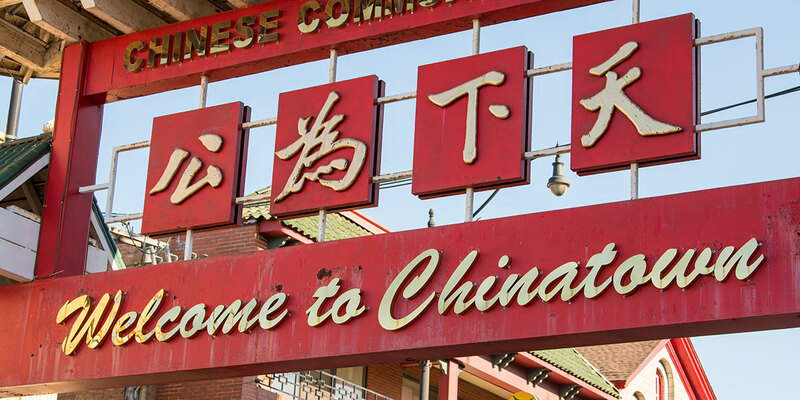 CBCAC’s early efforts were the 2000 Census Awareness Campaign to implement the new Chinese language ballot and highly successful voter registration campaigns that increased the number of registered voters in Chinatown by more than 300 percent within a decade. Chan later organized residents to lobby for the passage of the “Voting Rights Act of Illinois 2011,” nicknamed “the Chinatown Bill” that specifies protection of language minorities without a voting age majority in the redistricting process. In 2008, Chan became Chairman of the Chicago Chinatown Centennial 2012. As part of that activity, Chan put forward a list of Chinatown Centennial Community Agenda Items, which were all achieved: a new CTA Red Line entrance on Archer Avenue, a new park district field house, and a new library. Ernie Wong, architect and principal of site design group, ltd., has become a close friend of Chan’s. Together, they worked with several projects over the years, including Ping Tom Memorial Park and the Chinatown Branch Library. “C.W. cares for the whole community—he doesn’t take sides. It’s been wonderful to watch him bring different opinions to the table. He’s taught me a lot and has become a mentor to me,” says Wong. Part of Chan’s Chinatown Centennial vision was to see the community begin its second century with comprehensive long-term planning that is aligned with the planning for the whole region. In 2015, CBCAC and its partners unveiled a plan that sparked many activities, including an anti-displacement survey, a walkability study, river improvements, and an upcoming comprehensive parking study. CBCAC is also actively advocating for a livable and age-friendly environment and a community high school.